30733 is rated 5.0 out of 5 by 16. Rated 5 out of 5 by Etabe from End to exhaust woes! Cant tell you how well these clamps work ! They look great and have the best price I could find. Very strong. Rated 5 out of 5 by LSXrules from Great Clamps I bought these to replace the cheapo clamps that came with my exhaust system. They were the 1" wide "accuseal-type" band clamps. Not only did they not keep the pipes clamped in place, they didn't seal. I replaced them all with these and the pipes stay clamped in place and they definitely seal the pipes together. No more black soot seeping out of the joints. The car even sounds a little better because of all the tidy'd-up little exhaust leaks. 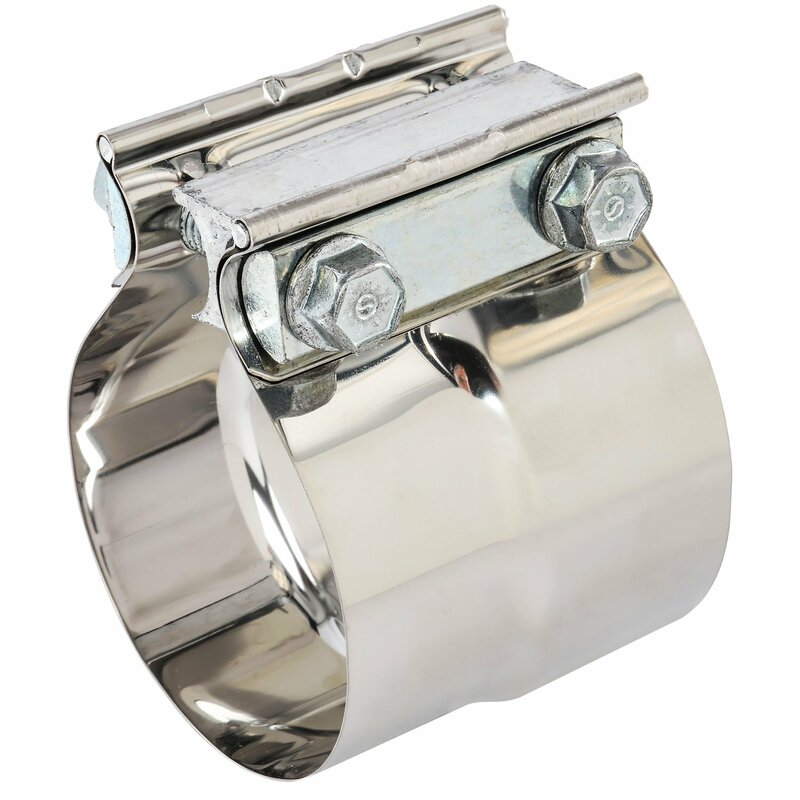 Best of all, Jegs' clamps are the cheapest around! Rated 5 out of 5 by Rexleigh from Better than welding! Bought these thinking they would be temporary, but they worked so well I won't be welding my exhaust. Rated 5 out of 5 by Jobodizo from Best price, excellent quality I bought these to replace the garbage u bolt clamps that came with the catback for my15 Mustang. After I had to pry the overlapping tubes apart I refused to put them back on and went with these instead. Way better price than anybody else while still being stainless. The only ding I'd give them is it would've been nice if the half circle inserts were grooved so you didn't have to put a wrench on the backside as well (this is what ford did on oem clamps up front). Otherwise great value! Rated 5 out of 5 by Regor from Best Value This is the best price and the quality is excellent. I'm wanting to join a header with a 3&quot; collector to a reducer which slips over the header collector. Would this work? This will connect a 3&quot; ID pipe to a 3&quot; OD pipe. What should these be torqued to? Some of the big name exhaust companies recommend 40 to 50 ft lbs for their clamps. I started with 40, then 45, and now 50 ft lbs. They are still leaking. These clamps are designed to be torqued to 45 ft lb. You can rotate the pipes or clamp to get a better seal.